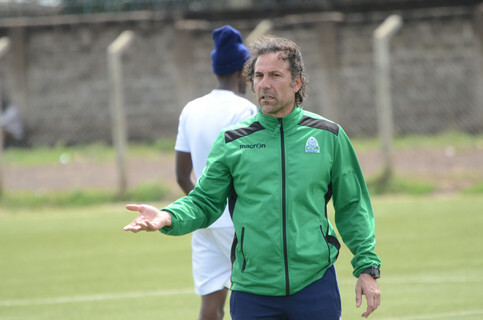 Gor Mahia coach Hassan Oktay is confident his team will overcome final day pressure to beat Angola’s Petro Atletico and progress to the last eight of the CAF Confederations Cup. Bottom of the table Gor welcome the Angolans with a must win tag on their heads. If they pick three points at home, Gor will sail to the quarters for the first time in their history regardless of the result Hussein Dey and Zamalek post in the other group match. “It is going to be difficult, very tough but I am not worried. I know we can do well and we have a good strategy to get a win. We will play good entertaining football and above all get a result. I believe in my players,” the coach said. Petro beat Gor 2-1 in the first leg played in Luanda and the Kenyan champions will be breathing revenge when they play the corresponding tie under the Kasarani floodlights. They will be buoyed by a good home record that has seen them record wins against Hussein Dey and Zamalek and the club will be upbeat they can match the same results. Oktay has however called on Gor fans to come out in large numbers and offer the team support. “I want to ask all fans not just Gor fans to come out and support us. We really need them now. We saw that when we played in Algeria, Angola and Egypt, Fans play a big role,” the Cypriot tactician offered. Petro landed in the country on Friday evening and will have their feel of the pitch on Saturday night. The game is to be played Sunday at 7pm.